The only thing better than perfect base attack (PBA) or higher rarity weapons are probably emblem weapons. If you’re not certain what emblem equipment are, you may have seen other players using it or even in the Trade Station. They are those items with a unique background and extra stats, and you can only see them on unique, legendary and so on. Here are a few ways you can get emblem equipment in MapleStory M.
This is the most common way right now, and most people are buying epics to level them up to the max level. In order to do so, they create alternate characters to farm for refining powder and level up the epic weapons. If you haven’t tried it before, fusing is available under “forging” and you need to fuse two equipment of max level. However, you need not use the exact same weapon or armor on both sides. If your base material is a Jaihin claw, the other equipment can be any other weapon. It doesn’t have to be a claw, but it can’t be an armor. Similarly, if you’re fusing armor, then the other equipment has to be an armor as well. 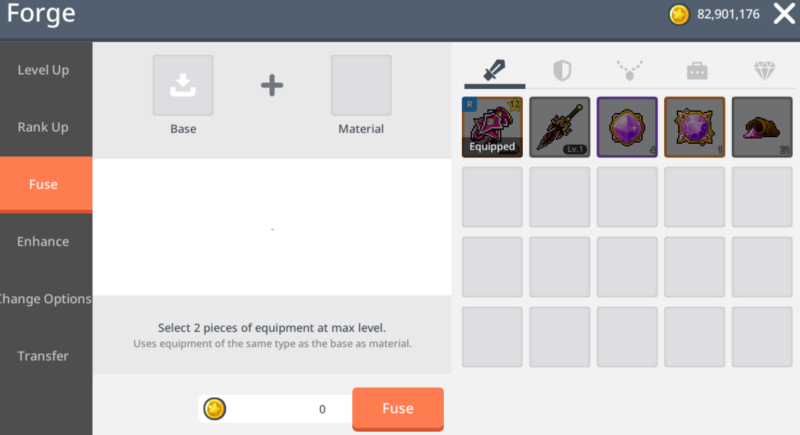 Just remember to put the weapon or armor you intend to rank up as the base material when fusing. 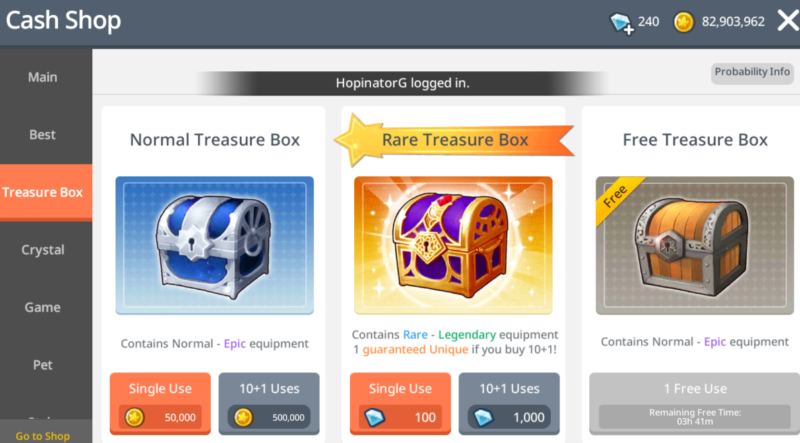 It also costs quite a lot of money to fuse, so do save some mesos. It’s about 1.6 million for epic to unique, and maybe 50 million from unique to legendary, not including costs of leveling. Also be warned that when you fuse, you may get an entirely different weapon but of the same class. For e.g. your base material may be a Jaihin claw, but you will get any of the four different claws (Briser, Halphas, etc.) and the stats will be random. Personally, I fused a Halphas epic claw which later became a Jaihin with terrible stats. It’s like getting an entirely different weapon. So don’t use your PBA to fuse. The main reason people fuse is because there’s a small chance of getting an emblem equipment. An emblem is one with much higher stats. For e.g. a PBA claw may have 1333 attack, but an emblem can have like 1,500 or 1,600 attack I think. You also get an additional emblem stat (sort of like a potential) that is quite useful sometimes. Either way, even if you don’t get an emblem, your equipment still ranks up. It’s an alternative to ranking up your weapon through stones. This is obviously the easiest way if you’re a whale (cash rich). You can just buy off an emblem equipment. Your only job is to search for one that is suitable for you and have a ton of mesos. Each emblem equipment probably goes over 100 million mesos in the Trade Station. Also another way for whales to get an emblem equipment is by buying the rare treasure box inside the Cash Shop. 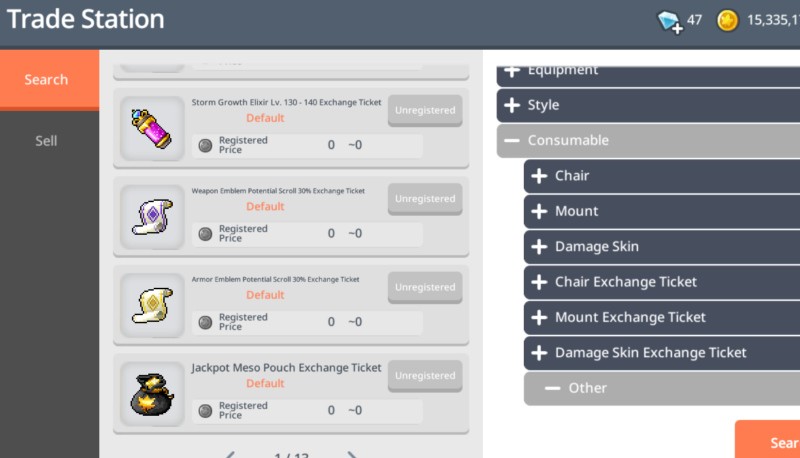 Choose the 10 + 1 as it gives you a guaranteed unique equipment. If you get a unique or legendary equipment, there’s a small chance that it’s emblem. It’s definitely not the option for F2P players. MapleStory M released a new Golden Eggs (sort of Gachapon) system where you can earn Emblem scrolls! It’s a 30% emblem scroll for either weapon or armor, and the possibility of getting it is probably only 0.01%. However, it can be sold in the Trade Station, so if you see someone selling it, go get it! 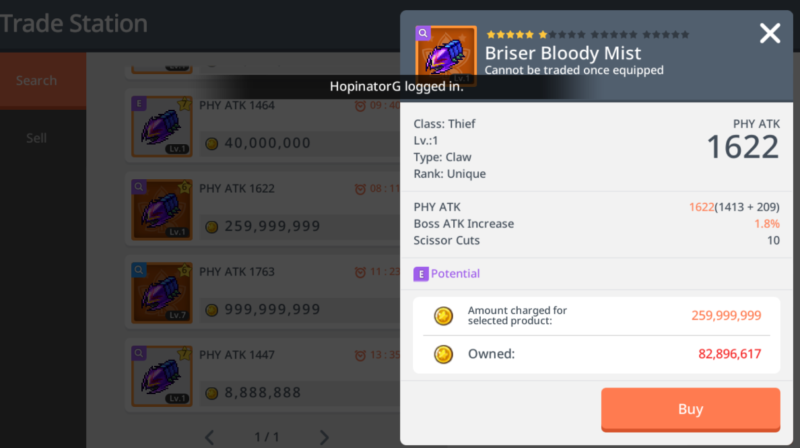 Especially for Mythic users. There are a couple ways of getting an emblem equipment, and the best ways for F2P players is to fuse two equipment of max levels. Either way, it takes a lot of luck. I’ve done fusing a few times before but have never gotten any emblem so far. MapleStory M – Which Is The Best Class To Use? Wow congrats. You meant you fused two epics, instead of legendary? That’s a lot higher than the unique PBA of 1333!